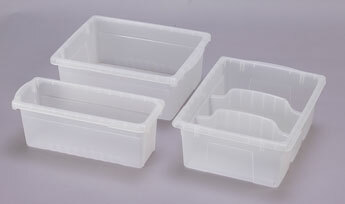 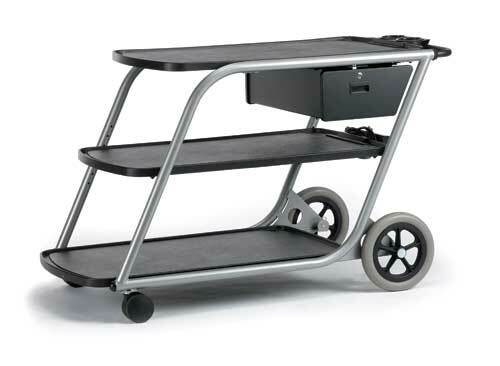 You have teaching tools you need to move from place to place and we have the one product that makes it perfectly easy. 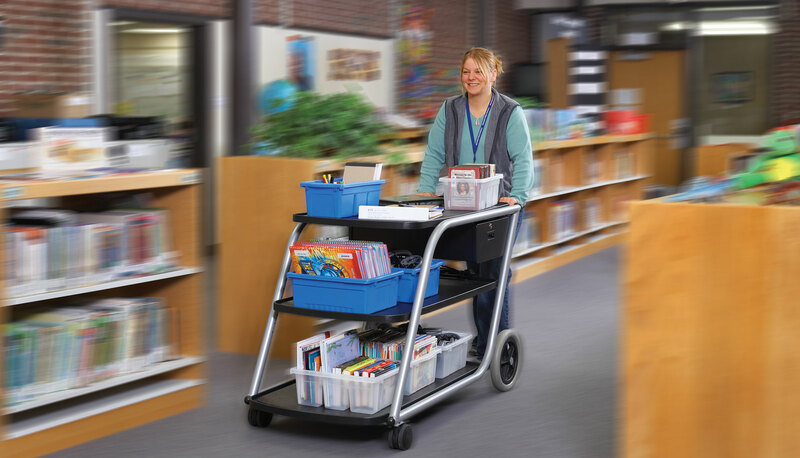 Wenger’s teacherTAXI is engineered with an easy-grip handle and smooth-rolling design that makes transitional teaching more convenient than ever. 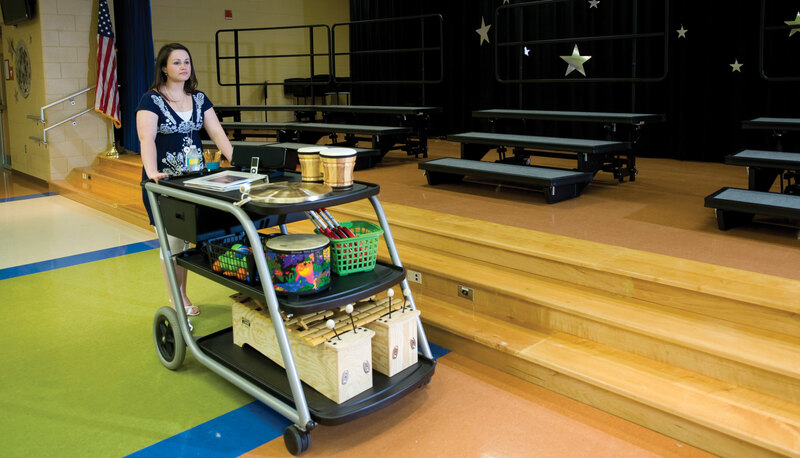 Roll it down halls, around corners, through tight doorways. 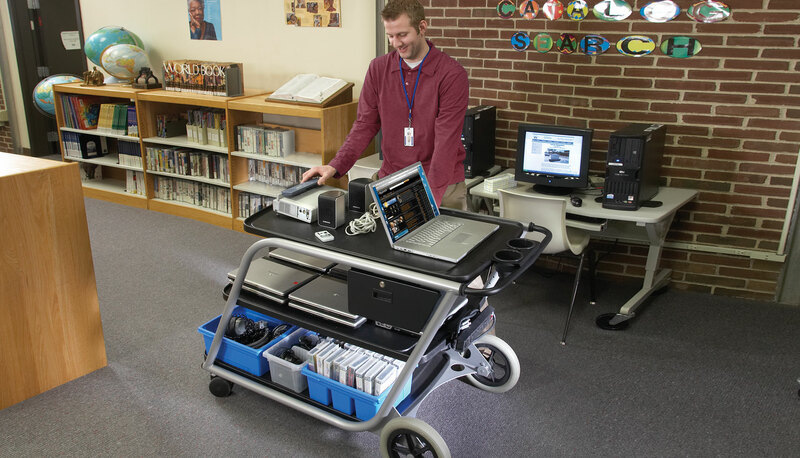 It’s fast and nimble on the go and a huge help in the classroom, with plenty of storage space and easy accessibility to all your essentials. 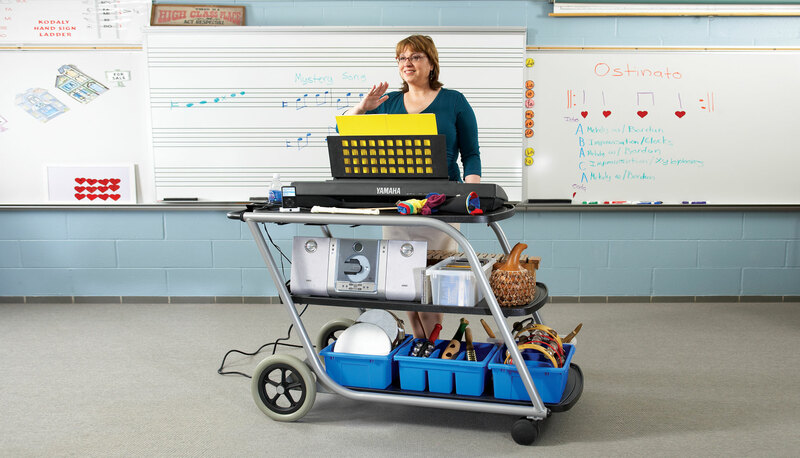 Books, instruments, sheet music, AV equipment, theatre gear, paint, brushes, markers, crayons, paper – whatever your tools and whatever you teach, Wenger teacherTAXI is the safe and secure way to move them wherever you need them to be. 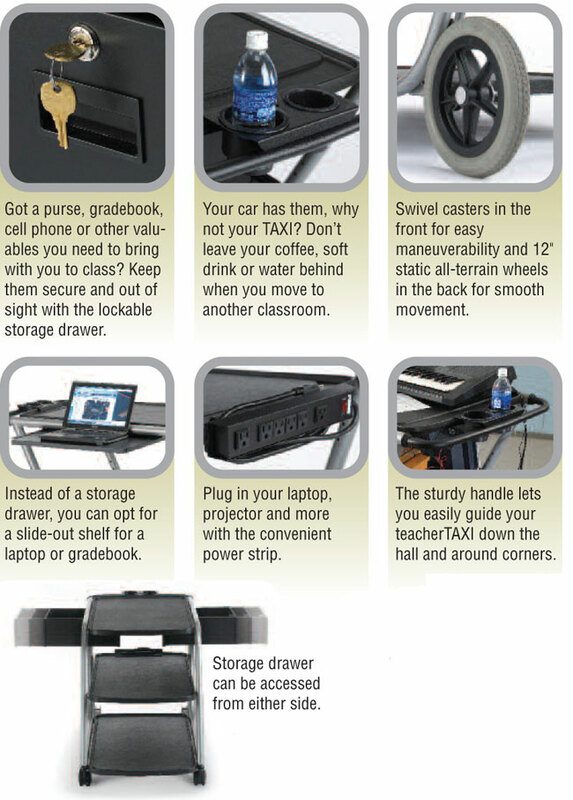 Optional accessories include lockable storage drawer for laptop computers, purses, and other valuables; retractable surface for special teaching needs and laptop use; 15 amp/6 outlet UL-approved power strip with 10' (3 m) cord; plastic storage bins in various shapes and sizes.